The Swedish Research Council-funded research infrastructure Biobank Sweden supports healthcare providers and universities with medical faculties working towards national harmonisation in biobanking. 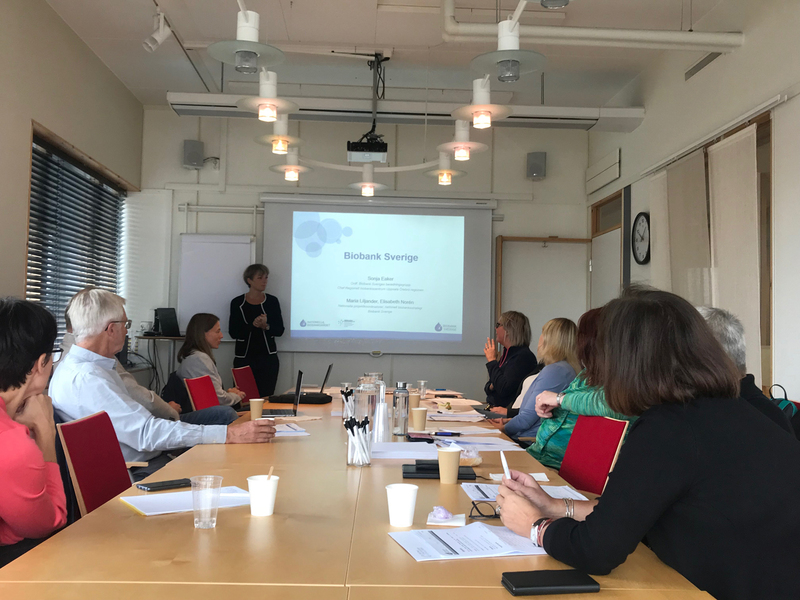 As previously reported, two national coordinators for biobank strategy, Elisabeth Norén (Region Jönköping County), and Maria Liljander (Region Skåne) were appointed by Biobank Sweden’s National Steering Committee during the spring. They’re currently touring all of Sweden’s healthcare regions for a series of round table talks. Participants consist of local healthcare- and biobank representatives and researchers. At the meetings in Örebro and Uppsala, participants included representatives from Biobank Sweden, the Sörmland and Gävleborg regions, Örebro University Hospital, Uppsala Biobank and Uppsala University’s Department of Immunology, Genetics and Pathology. The purpose of the tour is to discuss current challenges regarding existing sample collections. These discussions will result in a report focusing on concrete and viable initiatives related to increasing the value of the sample collections in question.